Writing about a few medium-length stories from Max Frei’s Labyrinths of Echo books feels like breaking my own unwritten blogging rules: I rarely write about books I haven’t finished, and I rarely write about books I read over long stretches of time. In this case, I think “long” means two years, meaning my memory of the first three stories has faded. A lot. Though the Echo stories begin with Max telling about his earthly difficulties getting to sleep at night, it’s only a few stories later that we learn the particulars of how Max’s boss, a Sir Juffin Hully—Echo sounds like a rather title-happy place—brought him to Echo, where Max is passed off as a clueless guy from the sticks to explain away his social ineptness. It didn’t take much to bring Max to Echo: Max first meets Sir Juffin in a dream, then makes the dream a reality (of sorts). Max’s dream life is pretty rich, and I scribbled “lucid dream” several times during my reading. All those foggy lines between dreams and reality brought me back to recent reading, like Gogol’s “Nevsky Prospect” (previous post) and Kafka’s Metamorphosis. As I mentioned above, Max’s stories combine cozy and sinister. Frei juxtaposes humorous names and fanciful objects with, for example, a serial killer case. And Frei’s cast of characters loves drinking a beverage, apparently caffeinated, called kamra; Max says an establishment known as Обжора Бунба, which Gannon calls the Glutton Bunba, serves the best kamra in Echo. Gluttony for food and glory leads to particularly strange and nasty consequences in “Король Банджи” (“King Banjee”), in which a woman reports that her husband has turned into a (rather large) piece of meat with a distinctive smell. Soup has oddities, too. I think the Echo stories appealed to me for their blend of earth-bound fears with out-of-this-world oddities. Then there’s all that Max and I have in common: a preference for night, the need for kamra, and, yes, a deep love of sleep. I’m certainly not a dangerous type like Max, though: Lady Melamori, whom Max fancies, feels he exudes some sort of threat. Two other things: though I enjoy cooking, Echo’s quick food delivery appeals to me, particularly since places like Glutton Bunba bring food nearly instantaneously after receipt of a mind message. Finally, I love that in Echo there are many bathtubs but no TV… but I certainly appreciated Max’s reference to Twin Peaks, in which he thinks about what he would have done had he been agent Cooper. For more: Robert Thompson on Fantasy Book Critic offers lots more detail on the Echo stories in The Stranger. Level for non-native readers of English: 3.5 out of 5.00, though I think my biggest language-related problem was sorting through all the Echo vocabulary. I admit I have a hard time keeping track of character names in all languages. Disclosures: The usual. I always enjoy talking with Overlook Press, which published English-language translations of Max Frei’s books. And yes, the link to Amazon is connected with my affiliate account. Dates: The story “Невский Проспект” (“Nevsky Prospect”) was published in 1835. “The Nose” was published in 1836. Why they’re important: I’ll forgo the scholarly and methodical in favor of a selfish big-picture summary that fits my current reading: “Nevsky Prospect” and “The Nose” are part of a cycle of Gogol’s stories based in St. Petersburg that contribute to the city’s mythos. (I’m appropriating the word “mythos” from Antonina Bouis’s translation of Solomon Volkov’s St. Petersburg.) Gogol contributes to a curious procession of Petersburg prose and poetry—which includes Pushkin in the early years and (I suspect) continues to the present day—that describes a city with dualistic dreaminess, devilish figures, apparently inanimate objects that come to life, and other strange occurrences. “The Overcoat” (previous post) is still my favorite of Gogol’s Petersburg stories. Another appreciation: Victor Terras’s statement in A History of Russian Literature that “’The Nose’ is a piece of virtuosic writing. Still the vast scholarly attention it has received seems excessive.” I dearly love “The Nose”—I’ve read it many times over the years—but, as an individual with a rather long nose that’s highly sensitive to pollen, down, and dust, I have to say that sometimes an annoying nose is just an annoying nose. And sometimes I wish mine would disappear. ИМХО/IMHO: First, a bit of context: I read “Nevsky Prospect” and “The Nose” to begin what I envisioned as a brief St. Petersburg reading spree: Gogol, Bely’s Petersburg, and then a contemporary Petersburg novel… but then I started wondering why I hadn’t begun with Pushkin’s “Queen of Spades,” which I’ve always loved, and why I hadn’t considered rereading something from Dostoevsky—maybe Crime and Punishment or The Double?—before Bely. The more I read and reread, the more connections I make, and reading Volkov’s St. Petersburg only adds to the fun. Meaning: I’ll probably focus a lot of this year’s reading on fiction based in St. Petersburg/Petrograd/Leningrad… though much of my spring reading will center on writers coming to BookExpo America in June. Gogol’s sandwich of a story has two substantive subplots that begin as one line: two men walking down the street espy women that they follow. [Warning: spoilers follow...] An artist follows a woman to a house of ill repute and dreams of saving her, and an officer follows a woman to her home, where she lives with her husband, a German craftsman named Schiller, who has a friend named Hoffman(n). Cultural references, anyone? I found the artist thread particularly interesting, with its fuzzy combination of reality, dreams, and opium use: the poor man finds himself in a fog, drawn by beauty and glad for a миг (an instant) of happiness, but his life becomes a topsy-turvy mess of sleepy days and alert nights. The officer thread offers a fight that reminded me a bit much of Gogol’s Ukraine-based stories, but a nose-threatening scene was a plus. Most striking: I was surprised at how uncomfortable and uneasy, even queasy, I felt after reading “Nevsky Prospect” at night: everything felt grotesque and distorted thanks to Gogol’s mishmash of the grotesque and the romantic plus that demon lamplighter who feels like an evil emcee for his city, a place where any twisted thing might happen. Be careful what you wish for. As for “The Nose,” well, it’s the pure absurdity that’s always appealed to me: a story that begins with a barber finding a nose in a loaf of fresh breakfast bread is my kind of story. Gogol continues by introducing the reader to a certain Mr. Kovalev, former possessor of the nose, who later locates his nose as it walks the street, in uniform and with eyebrows. Of course the fact (or not?) that The Nose prays adds further appeal. Though “The Nose” is funnier and less ominous than “Nevsky Prospect,” the two stories share plenty. It should come as no surprise that Mr. Kovalev is given to strolling Nevsky, in a clean and starched collar. Later in the story he says that the devil played a trick on him, though a bit later still he’s not sure whether he’s been dreaming. Or perhaps drank vodka instead of water. Like “Nevsky Prospect,” “The Nose” also includes references to dreams, reality, and event-obscuring fog. The narrator also tacks on a confused summary of events, not quite sure himself what was true and what was invented but concluding that these things can happen, albeit rarely. Sweet dreams! P.P.S. Mapping St. Petersburg has two maps, with helpful tags, for Gogol's Petersburg Tales, here. Level for non-native readers of Russian: 4.0/5.0. Up Next: Andrei Bely’s Petersburg. Leonid Iuzefovich’s Князь ветра (Prince of the Wind), the last of Iuzefovich’s three Petersburg detective novels: this one fits with Bely because there’s a Mongolian connection. I’ll also report on Volkov’s St. Petersburg at some time: I’m reading it slowly and enjoying it very much. I’d love to hear readers’ recommendations of novels written by contemporary writers that take place in St. Petersburg, Petrograd, or Leningrad. I may also put together a brief post about some of Max Frey’s “Echo” stories, which (surprise!) blend reality and dreams. I’ve read four or five of the stories in the last year or so, and they’ve come in handy lately as filler reading when I’m overloaded on the intense wordplay of Petersburg. I’d never considered inviting anyone to write a guest post for the Bookshelf until I met Olga Bukhina at the American Literary Translators Association conference in November. When I learned that Olga specializes in translating young adult books from English into Russian and writing about YA literature, I remembered Bookshelf commenters’ questions about Russian young adult fiction that I couldn’t answer. So I asked Olga if she’d like to write a post about Russian novelists who write for young adults. She agreed. Olga’s translations include Louise Fitzhugh’s Harriet the Spy and Philippa Pearce’s Tom’s Midnight Garden, and she is the co-author of Язык твой - друг мой (Your Language Is My Friend). She co-wrote Your Language with her sister, with whom she often collaborates on translations. The book is part of Liudmila Ulitskaya’s series for children. Olga also writes about YA books for a new blog created by the Working Group for Study of Russian Children’s Literature and Culture during the November conference of the Association for Slavic, East European, and Eurasian Studies. I was especially happy to learn Olga wanted to mention Miriam Petrosyan’s Дом, в котором… (The House That…), a book that’s been highly praised by adults of all ages but that I was disappointed not to enjoy. (The House is also the subject of Olga’s latest WGRCLC post.) A huge thank you to Olga for writing this post! Three is a magic number, and there are three names in Russian magic realism literature for teenagers. All three are women relatively new to the literary world. Muscovite Dina Sabitova writes about parents and adoption; she writes out of experience. Already a mother of two, she adopted a 16 year old girl. Her book Where Winter Does Not Come (Где нет зимы) was published by Samokat (2011), one of the most interesting small publishing houses for children in Moscow. This book is about two children, a teenage boy Pavel, who has a very serious attitude toward life; and his little sister Gul’, who dearly loves her rag doll, Ljal’ka, made by her grandma. This doll is one of the narrators in the book. The grandmother, the corner stone of the family, dies, and the mother soon disappears. Two children are left to their own devices with very little money and an even smaller supply of food. After an attempt to manage on their own, they are taken to the orphanage, with two “protectors,” Ljal’ka and an ancient house elf Aristarkh who is invisible to all but Pavel, left behind in their old shabby house. It is a tragic story; and the book’s unexpected turns and twists make the reader’s heart ready to stop. It is the most uplifting story imaginable, full of hope. After the news about the death of her mother, Gul’ loses her desire to live. She does not even care about the loss of her beloved Ljal’ka. Deus ex machina style (apart of the fact that this part is actually based on a true story), the mother of Gul’s best friend decides to adopt her. Happy end? Not yet. 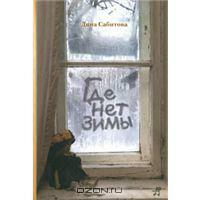 Sabitova’s most recent book, Your Three Names (Три твоих имени, Rozovij Zhiraf, 2011), is about a little girl who gets a new name and a new life in each version of her story. Ritka/Margo/Goshka’s life goes through various ordeals: drunken, poverty-stricken parents, foster care, and an orphanage. Miriam Petrosyan, an animator from Erevan, wrote a huge volume about the life in a boarding school for children and teens with various physical problems (and of course, mental and psychological). The House That (Дом, в котором…, Livebook, 2009), which got several prestigious awards, is an epic drama and a phantasmagoric, nightmarish story of kids who are stuck with their disabilities. For them, the House is a safe haven and a prison at the same time. Each group of kids lives in its own dormitory and forms a Pack with its own Leader. Many of them are in wheelchairs or with prostheses; for many, the House is the only home they know. Each kid has a nickname, Sphinx, Blind, Smoker, and even Death (and girls, Mermaid, Witch, Ginger). We never learn their real names, or the names of the principal and counselors. The reality of life, with its regular school program and everyday breakfasts and lunches, intermixes with dreams, nightmares, and fantasies creating a heavy, dense prose that’s enjoyable and scary to read. Ekaterina Murashova is a child psychologist in St. Petersburg and the author of three novels. The Correction Class (Класс коррекции, Samokat, 2007) is a miniature Petrosyan House/class for physically disabled and mentally handicapped children with whom teachers (and often their parents) have no idea what to do. With the help of a new student, others in the class are now able to take refuge in a dreamland where they are not disabled any more, and everyone looks “beautiful and serious.” Some things from that magic land can even be taken into the ordinary and difficult “real” life. The Alarm Guard (Гвардия тревоги, “Samokat,” 2008) is again about a class, but a very different one. Kids of this class are organized in a group which helps everyone who needs their help, from a crow on a tree to a homeless child in a manhole. 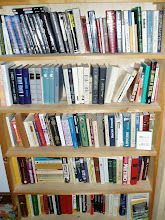 It is a book about collectivism in the best meaning of this word and about individual responsibility for this world. One Miracle for the Whole Life (Одно чудо на всю жизнь, Narnia Publishers, 2010) brings together those who are rarely seen together: nice, “clean” kids from a city school, a gang of under-aged criminals, and two extraterrestrial siblings. It is a story of miracle healings of deadly diseases and the wounded, suffering hearts of children and adults. Can these stories be told without magic realism? No, they are too full of pain, suffering, and, indeed, the most real reality of life. Up next: Two of Gogol’s Petersburg stories, then Bely’s Petersburg, then, probably Bykov’s Ostromov. I’m also reading Solomon Volkov’s thoroughly engaging St. Petersburg: A Cultural History; I’m reading the book in Antonina W. Bouis’s translation. Publisher Ad Marginem’s “autobiographical novel” description on the back of Dmitrii Dobrodeev’s Большая svoboda Ивана Д. (Ivan D.’s Big Liberty) feels utterly superfluous: with many dateline-ish chapter starts, real-life figures, and historical events worked into the story of a man who leaves the Soviet Union, first for Hungary, then for West Germany, the book has the feel of a documentary novel that could only have been written by someone who lived “it.” Which Dobrodeev has done, living in Germany and the Czech Republic since 1989. And Dobrodeev, like Ivan D., worked at Radio Liberty. Dobrodeev said in an interview with Echo of Moscow that about 90 percent of the book is true, with a “documentary basis,” and that he included his own experiences in his Ivan D., a composite figure for his generation. I’ve written more than once that I’m not a fan of finding real people in contemporary fiction… but Dobrodeev somehow makes the device work, including people like 1991 coup plotter Genadii Yanaev, a pre-LDPR Vladimir Zhirnivoskii, and journalist Andrei Babitskii in Ivan D. Honestly, I’m surprised the book worked for me at all: it’s told in very spare, nearly affectless language and combines a good dose of abstraction (условность) with its facts. Still, Ivan D. is that odd case of a book that fascinated even when it was a crashing bore. Perhaps that’s what Dobrodeev intended: life west of the old Iron Curtain may sound romantic or exciting, particularly when spy agencies are involved and there’s freedom, but it can also be pretty dull. Emigration, we’re told, isn’t развлечение; the old cliché “fun and games” works well here. Ivan D. is a man with mixed feelings about the Soviet Union. He hates that he was невыездной (not allowed to travel) for years, unable to use his talents, and living in relative poverty. But he also dislikes the changes of the late ‘80s and early ‘90s, which he thinks demean Russia’s history. Toward the end of the book Ivan D. visits Moscow as a Radio Liberty correspondent during the events of October 1993, seeing the Russian White House after it was bombed by the government. He comes away thinking what happened was грязно, dirty, and that it marks the end of historical Russia. At least the Soviet Union valued brotherhood and solidarity. Ivan D.’s stated preference is for personal freedom, something he takes advantage of in his life in Germany after (of course!) he’s spent time in a remote location offering analysis of the collapse of the Soviet Union to the German government. Ivan D. also hears Russian writers read (Vladimir Sorokin and Viktor Erofeev are among those mentioned), has odd dreams that probably indicate his freest thoughts, and eventually moves in with a Russian woman. They live like, well, libertines, with lots of alcohol and rumors of orgies. Their lifestyle is a magnification of norms at their workplace; that Radio Liberty group is quite a bunch. Throughout all this, Ivan sometimes feels his self (“я”) disintegrating and he has a tendency to forget who he is and where he’s from. He’s also disturbed when a veteran co-worker from the station is buried in Germany, among alien souls (“среди чужих душ”). Ivan doesn’t feel right anywhere, though a reunion with his wife in his old Moscow apartment at the end of the book gives him the chance to see his daughter and smell old smells. In some ways, I think Ivan D. feels freest there. The book’s chapters end with a vibe of “the more things change the more they stay the same.” Dobrodeev clinches that by supplementing the chapters with a few addenda, Radio Liberty correspondence about Ivan D. Indeed, the more things change the more they stay the same. All that said, the novel was an interesting counterpoint to my own experiences during the era, when I traveled to Russia and eventually moved there: I heard the bombing of the Russian White House in October ’93 and complaints from people who wanted firmer control than Yeltsin’s. As I wrote this post, I realized that the book probably succeeded for me more than I initially thought. Dobrodeev’s story about an abstract, albeit self-referential, Ivan without a country manages to convey a lot about the sad and sometimes humorous messiness and contradictions of cultural, political, and personal freedoms during and directly after the fall of the Soviet Union. For more: Ad Marginem has links to reviews. Level for nonnative readers of Russian: 2.5/5.0. Not especially difficult. Short sentences. Simple syntax. Up next: A St. Petersburg extravaganza, beginning with two Gogol’s St. Petersburg stories, then Andrei Bely’s Petersburg. I must admit these works have been a bit of a shock to the system after Ivan D.